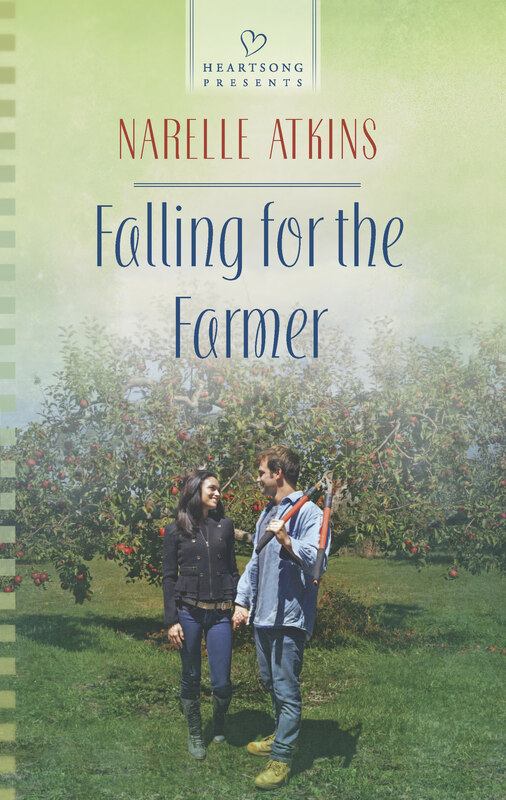 My debut book with Harlequin’s Love Inspired Heartsong Presents line, Falling for the Farmer, is releasing next week on February 4, 2014. Next week I’ll be giving away three print copies of Falling for the Farmer on my blog (international giveaway) from the Falling for the Farmer Blog Chase. The first stop on the blog chase will be the Australasian Christian Writers blog on Wednesday, February 5 (Aussie time). The blog chase will travel around Australia and New Zealand, ending up here on my blog. There’ll be fun questions to answer as I celebrate the official release of Falling for the Farmer with my Australasian Christian Writer friends. She had to escape now! The long aisle surrounded by rows of smiling faces awaited Kate Lawson as she paused for photos at the back of the church, her sweaty hand clutching her father’s tuxedo-clad forearm. Her fiancé stood at the end of the aisle, a triumphant grin on his face as his gaze swept over the crowded church. Kate shook her head. “Dad, I’m sorry. I can’t do this.” She lifted her wedding dress off the plush carpet and ran out of the church, her low heels scraping the stone steps as she sprinted to the bridal car. But they haven’t spoken since his sister Courtney’s wedding last summer. Now that they’re back together again on Courtney’s Montana ranch, Sheila’s wondering if she only imagined that Ben cared for her—and their time together was just a beautiful dream. Ben’s crazy about Sheila, but he’s too shy to tell her, and he’s praying for another chance to win her affections. Can this sweet computer expert overcome his shyness and show her that sometimes dreams really do come true? But in the bustling gold-rush town of Canon City, Colorado, she turns heads, especially that of cowboy Caleb Hutton. Annie’s seen Caleb many times in her father’s mercantile, and she’s surprised and pleased when he takes a special interest in her. Caleb’s faith was shattered when his fiancée jilted him for a wealthier man. But as he gets to know Annie, his view of women—and God—soon takes a turn for the better. Can Annie’s steadfast faith help the former preacher find his way back to his calling and a second chance at love? The young widow is just trying to make a life on the prairie for herself and her newborn son. When handsome newcomer Luke Dow shows up at her cabin door, she soon relies on the man’s help with her homestead…and dares to dream of the future. Luke came to the small South Dakota town to build a hotel and make his fortune. But he never expected to care for anyone, let alone the beautiful Cora and her baby boy. When Cora’s land claim is challenged by a neighbor, Luke will do all he can to protect her and her home—and claim her heart.